Look who just beat Nokia, ZTE and Lenovo to launching the first official Windows Phone in China? 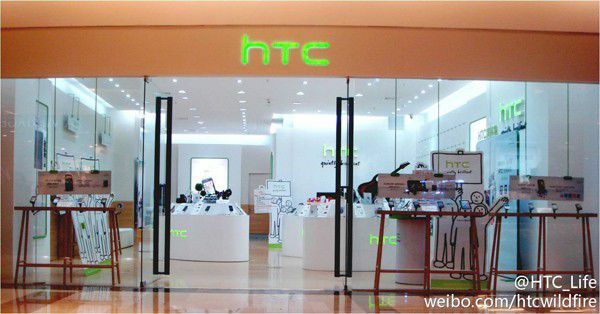 At the opening of HTC's first Chinese flagship store in Beijing yesterday (pictured after the break), Sina Tech's Zāng Zhì Yuān noticed that the company's already accepting pre-orders for the 4.7-inch Titan, which is priced at ¥4,399 or about $700 sans contract -- very much in the high-end of the market, surprisingly enough. In fact, we had already heard HTC's managers claiming to have the first Chinese Windows Phone at MWC last week, except they couldn't comment on the actual timing. Judging by the sign above, the only noticeable difference here -- depending on your Chinese literacy -- is that the phone's dubbed Triumph locally; but additionally, HTC informed us that its first Chinese Windows Phone will be powered by WP7.5 Tango, with its Facebook and Twitter integration replaced by the likes of Sina Weibo, Tencent Weixin and SkyDrive to play the local rules. If you'll recall, such localization is very much what Nokia's Stephen Elop had confirmed in our Engadget Show interview back in November. So, any bets on who's next in line to climb over the Great Wall?